Les Misérables is set in Paris after the French Revolution. In the sewers and backstreets, we encounter "the wolf-like tread of crime", and assassination for a few sous is all in a day's work. We weep with the unlucky and heart-broken Fantine, and we exult with the heroic revolutionaries of the barricades; but above all we thrill to the steadfast courage and nobility of soul of ex-convict Jean Valjean, always in danger from the relentless pursuit of the diabolical Inspector Javert. i originally read this about 5 years ago. such a fantastic story. this version was brilliantly performed and I'm sure to listen to this many times over. A riveting tale that had my ears glued to the speakers for nights on end. A masterpiece in story telling and one I will listen to again and again. A wonderful tale of vengence, kept me at the edge of my seat. It was such a joy to listen to, Bill does a great job narrating making each character's voices unique going above and beyond what I would've thought. Wait and hope. I listened to a couple of hrs and gave up. words were too flowery and old school. This is an amazing tale. At first the characters seemed one dimensional, but very quickly the darkside of human nature came out. An amazing and unforgettable tale of revenge. 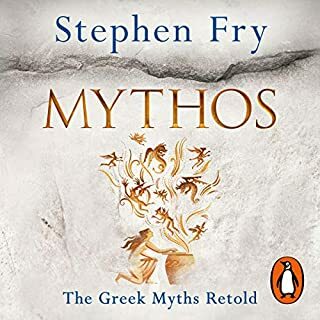 I enjoyed it so much I often sat in my car to listen a little more - the equivalent of a physical book that you can't put down. There is a slow section which lingers on an italian bandit - it is unclear at the time why this is important but it does become so later in the story - don't be disheartened and keep persevering. No doubt a few tropes were started in this book. Some areas take a bit long but the journey is satisfying. Sublime. Best performance I've heard. I now understand why this LONG book is regarded as a literary epic. I feel as if every story written might aspire to this level of enjoyment. Flowery, yes. Winding, assuredly. Obvious at times, undoubtedly. However it only added to my enjoyment. the tapestry Dumas weaves as he threads hundreds of lives together over 30 decades, leaving no story unfinished is sublime. Filled with honour, grief, loss, romance, intrigue, and so much more, I made it through this book and was left sitting in silence with sheer satisfaction. The final chapter concluded the tale perfectly. 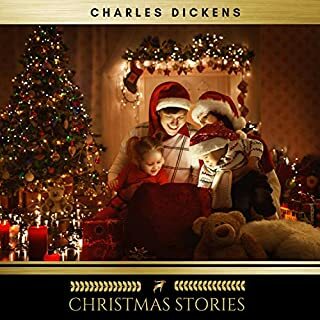 The love for this tale could be seen by the performer Bill Homewood in his rendition from his accents, ferocity, the whispers, pronunciation and elocution, were all a joy to behold. I won't tell you to listen to this, live your own life and make your own choices. For me, I chose this and I loved it. “All human wisdom is contained in these two words - Wait and Hope” ― Alexandre Dumas, The Count of Monte Cristo. I really enjoyed the first few chapters of this book but it did go on a bit. It is a bit too flounce and emotive for my tastes . I found the justification of such vengeful destruction tiresome too. The performance was good and helped define characters. 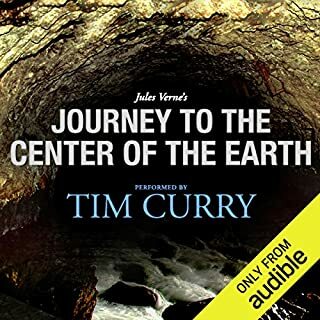 I loved this audiobook, a brilliant story. The reader was great although through my headphones there was sometimes mouth sounds that I found distracting. Narrator always licking his lips & smacking his tongue dampens the experience. A fantastic classic. There are plenty of other versions, but after listening to some samples I went with Bill Homewood. He's the man. A different voice/ characterization for each person in the story - different enough that sometimes I forgot their names but remembered them from earlier in the story by the voice! It's a good story, and I'd tried to get through the book before but could never fight through Dumas' long winded prose. Mr Homewood battered it down for me in style and has a great dramatic style. If you like the classics, you should give this a listen. If you're going to listen to The Count, you should listen to this one. I have somewhat mixed feelings about this one, although in general I rate it highly. First, when I started listening, I was immediately dismayed to hear an echo in the recording that I had not noticed when listening to the sample. But with decent headphones in my ears, it sounded like the narrator was in a cavern, or perhaps a high-ceiling house. Also, you can hear the faint chirping of a bird in the background. I marveled at the fact that the engineer (or the company behind him/her) could allow such unfavorable recording conditions. Can Naxos not afford studio time? Can they not think about putting the mic a bit further away from the bird? Or, bear with me...what if we put the birdcage in this house over here, and record the 52-hour audiobook over here in this recording studio? My first instinct was to try to return it and get another version, but I kept listening, and to be honest, after a while it didn't bother me at all (probably because of the reader's jaw-dropping performance). 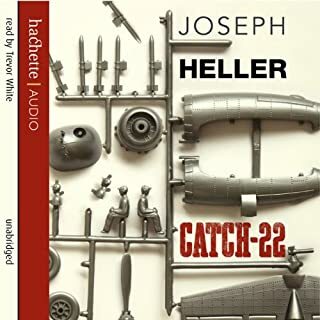 Second, it took me a very, very long time to finish this audiobook. Although the story is much revered as a classic, and, in my opinion, rightly so in many respects, I found certain stretches to be interminable and boring, laying down an unbelievably intricate web of intrigue that sometimes seems to have nothing to do with what went before, and only has its payoff much later. This is why I gave the story 4 stars instead of 5. However, once the various threads started to come together I was drawn back in and riveted to the end. 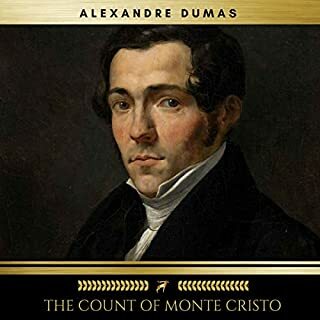 I have heard some people say that they prefer an abridged version of The Count of Monte Cristo, and I suspect I agree. Alexandre Dumas is one long-winded dude. Granted, the book was originally written in serial form, printed chapter by chapter over time and devoured by an eagerly awaiting audience, just as we might do with the latest episode of our favorite TV series. And that helps explain its length and intricacy, I suppose. But it also makes me wonder if some of it was written in order to fulfill that demand, and not necessarily because it was essential to the story. I will also say that despite these two shortcomings, the overall experience is very gratifying, and I'm glad I pushed through to the end. 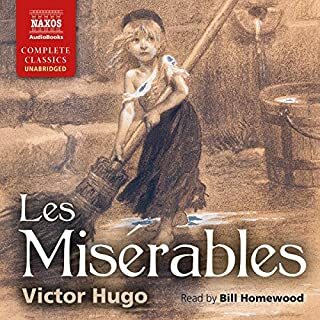 The narrator, Bill Homewood, is quite simply phenomenal. His ability to create nuance and breathe life into the book's huge assortment of characters is just outstanding. I was stupefied throughout by the subtleties in and mastery of each character's voice. In short, I can't imagine a better reading. He deserved better recording conditions. 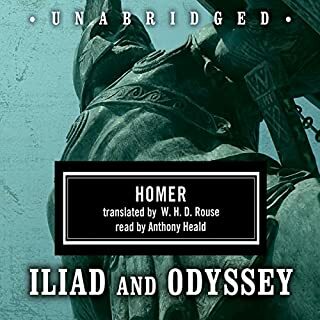 The story, apart from the monumental digressions, the seemingly unmerited attention to certain characters or details, and the florid prose and dialogue, is a spectacular adventure that touches on all sorts of universal themes. Love, patience, murder, betrayal, and most of all revenge, to name a few. The characters all seemed very much alive to me (and I grudgingly admit that the extreme detail probably helps in that respect), and it's easy to submerge yourself in the story (though you might have a nap during the more tedious parts). 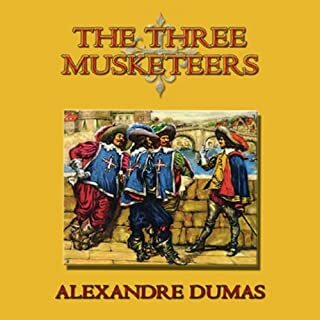 Having read over this review, I now realize that some of Mr. Dumas' wordiness might have rubbed off on me, so I'll leave it at this: Overall, I would recommend this audiobook to anyone considering it. My only advice would be to have faith that, although the story lags, it will come back around, and things that seemed almost entirely unrelated will make sense in the end. Just sit back and enjoy a master performer reading a classic. Oh, and don't mind the chirping bird. After a while you get used to it. This is the definitive reading! 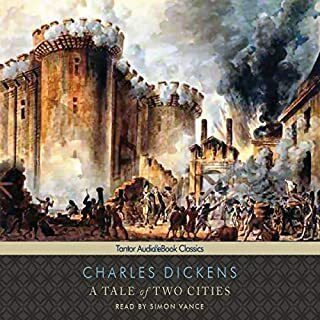 There are two fantastic Unabridged recordings of this book on Audible. * Blackstone Audio's version, released in 2008, narrated by John Lee. Now, at first glance, the John Lee version seems more energetic and might seem superior, but that's absolutely wrong. Listen to the audio sample of that version, and you'll be treated to a monotone reading where -every- -single- -character- -sounds- -exactly- -the- -same-. Most of the time you can't even hear the difference between him narrating the story or speaking a character's lines. I assure you that nearly 50 hours of the same monotone voice, where every character blends together, is not the best way to experience the book. Now listen to THIS recording instead, by Bill Homewood. Listen to the sample all the way until the end, and you'll hear that he expertly crafts a UNIQUE voice for EVERY character, and gives each character a vibrant portrayal. It's an absolute joy to listen to him narrate the work with such talent for voices and accents, and it's really easy to follow along with what's happening since the voices are so distinct. The book itself? It's a classic for a reason. If you have a taste for epic revenge and adventure stories, then this is for you. I suggest you choose this reading of the book and sit back, relax and enjoy. You'll be in for the ride of a lifetime. If you could sum up The Count of Monte Cristo in three words, what would they be? You MUST get the Bill Homewood (reader) version of this novel. The characters come alive, and his intonation and in-depth understanding of the characters enrapture the listener. 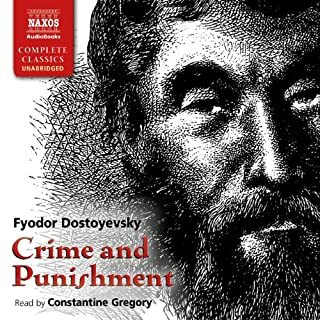 I started to listen to a different version of this book, but that performance was not good. I'm so glad I tried again with Bill Homewood. Bring back the old classic Tales! This was the most entertaining and heartfelt stories that I have read ever. Anyone who calls themselves a serious reader, writer or enlightened being should read this amazing classic. 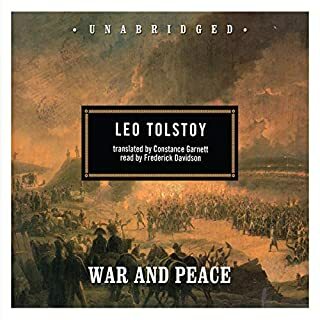 This is the longest book I've tackled on audible--and the first classic. I don't think I could have gotten through this without the fantastic narrator, Bill Homewood, bring it to life. I was worried that this book would be a 50-hour version of the movie that I liked so much. Indeed, it was not. The book offers a richer cast of characters, a much more nuanced protagonist, and countless ambiguities that turn the book into something very surprising and deep. The age of the novel is very apparent. A lot of the science it employs does not stand the test of time. The use of poisons and drugs is just plain silly at times. Additionally, the the mindset of the french aristocracy is so foreign and bizarre that the motivations and emotions of characters is downright bizarre to modern listeners at times. This causes some of the impact of the drama to be nullified, which is a shame. I was fairly captivated the entire time, which surprised me given that the language and setting of the novel provided many obstacles to true immersion in the story. Here is where the narrator did his job phenomenally well. I have to say that I truly delighted at his portrayal of Noirtier. Listeners will probably need to follow along with a chapter summary at parts, as almost every character has two or more names, and some of the Dumas subtleties cause confusion that remains unresolved for long stretches. The language barrier led me to wonder if I misunderstood certain things, or if Dumas was just giving his readers credit by not spelling everything out (it was always the latter). I highly recommend this book with this narrator. Excellent classic that everyone should read. An epic tale of revenge, The Count of Monte Cristo is one of the most fun books I have read in some time. The narration was skillfully performed, and the narrators voice sold me on this version of the book. HOWEVER by the time I finished the book the sound of his mouth had me squirming. He kept making squishy mouth noises throughout the book, which was likely related in some way to the mic. For a book this long, you want the right narrator! 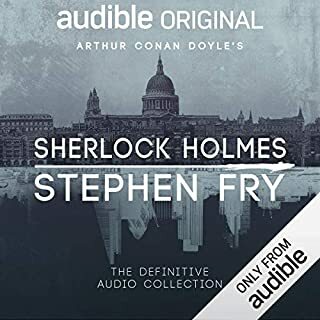 Of all the options Audible has for this book, this narrator is the one who'll keep you engaged. You can tell a bit from the samples of the different narrators, but trust me: Bill Homewood is your man. He gives the characters distinctive voices, and really brings the kind of flair and drama you need for a book like this. What did you love best about The Count of Monte Cristo? I'd never heard of Bill Homewood before, but he is without a doubt one of the best narrators that I've ever heard. If this guy hasn't won an award, he should have or will soon.The book was everything I thought it would be.. and more! A tad difficult to keep everyone's names straight since it's written in Victorian English, everyone has about 3 different names/titles. Ugh. Good GOD is this book long. But well worth the listen. The Count of Monte Cristo, I mean, Lord Underwood, I mean Abbe Bertuccio.. All of the above. This dude has some major unchecked agression. I mean really, so you spent 14 years in prison. So what? You got a first-rate education out of it! Now you're free AND a billionare! Instead of just paying someone to abduct your wrongdoer's and torture them, you spend most of your money toying with them and proclaim yourself God's Hand of Vengence and Providence. Awesome. What about Bill Homewood’s performance did you like? Would you consider the audio edition of The Count of Monte Cristo to be better than the print version? I have just finished reading (on Kindle)and listening to this story. I had seen the Jim Caviezel movie, which was good, but has changed much of the original story. The drama ,, humor and and fascinating commentary on human nature was extraordinary. This performance was more than a narrative. He changes voices for certain characters and the most dramatic scenes are transfixing. This is truly a timeless classic that is under-appreciated. I had actually read the first half of the book on my new Kindle Fire, but mostly listened to the rest while reading along at some juncture. Due to the length of this novel- over 100 chapters, it is better listened to vs reading it. While I read it, I started to get confused because of all the characters and I was unclear if I was fully understanding the plot because I had to stop and start so often while reading. But I could not stop listening to the audible performance, which held my attention. What was one of the most memorable moments of The Count of Monte Cristo? The drama of the poisoner and the reading of the letter by Franz of his father's death were the most memorable. However, I did not listen to the beginning of the story, so I may actually go back and listen to the whole thing again. This is my new favorite. What does Bill Homewood bring to the story that you wouldn’t experience if you just read the book? The emotion and drama between characters was clearer in his performance. All the complicated interactions and intention so the characters came to life. 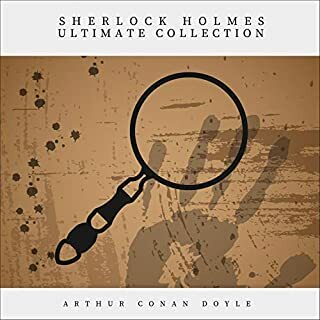 I'm revisiting in audio form some of the classics which I can only just remember from old TV films. 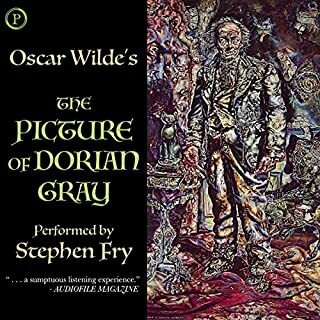 This is truly a another masterpiece, the detail of human greed, aspirations and dejections is superb and very moving, never boring I have been hooked from start to finish of this 52 hour delight and as for the narrator-I can't believe it could be read any better, his warmth and the humanity in his performance along with his acting capabilities are first class and have done credit to a terrific story.. The story, the narration... This was my first ever audio book. I don't think I'd have enjoyed this book as much had I read it myself. The narration is superb. So is the writing. I'm dreading the day it's going to finish. What did you like most about The Count of Monte Cristo? Each voice is distinct and ages with the character. You think you know the story. But if you haven't read the book you don't. I couldn't take my headphones off! 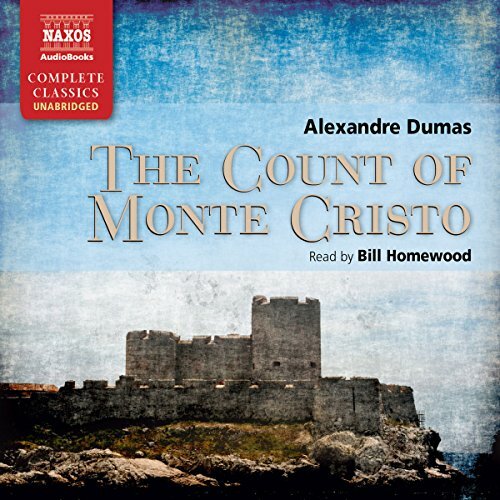 Would you listen to The Count of Monte Cristo again? Why? Having read this several times, I decided to give listening a try. This book is a timeless yarn that completely engages the listener and pulls you into it's web of narrative. It is beautifully written and captures me every time. The development of the principle character, Edmund Dantes, is intriguing and compelling. Have you listened to any of Bill Homewood’s other performances? How does this one compare? 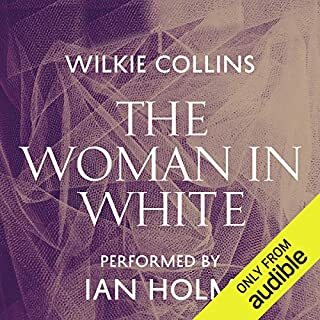 This is my first experience of listening to a performance by Bill Homewood, and he clearly defined each character and gave emphasis and appropriate emotion to the narrative. Without giving anything away, the pulling together of the threads of story at the end of the novel is gripping. This book is my favourite 'go to' when I want a classic, well written, proper yarn that engages. It is also a good length for travelling long distances! 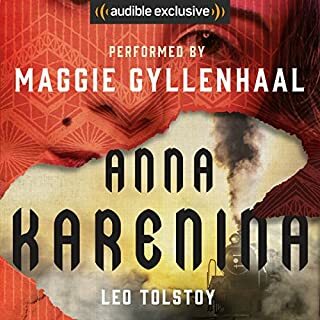 This was my first book chosen from Audible and I couldn't have chosen better. Quite a long listen so it's not for you is you're short of time. 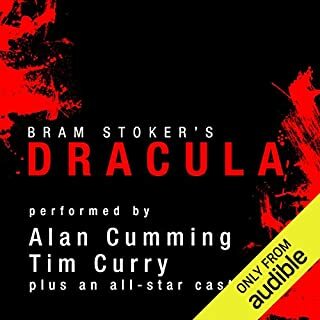 The narrator is brilliant; there's a different voice for every character and is very easy on the ear. If you like intricate, well written, full bodied stories this is for you. I read this book very sketchily when young. Hearing it re-read to me by Bill Hammond was sheer delight. His 'acting' with his voice so well paced, enabled the huge number of characters to be sorted in my mind and Dumas' intricate plot unfolded wonderfully. I was able to enjoy being 'in the know' while the people who ruined Edmond Dantes life and love were unaware of what was happening to their world and their ill-gotten gains as disaster after disaster fell upon them. I was really sorry to get to the end! What made the experience of listening to The Count of Monte Cristo the most enjoyable? Bill Homewood's narration of the book is phenomenal. You instantly recognise each character the minute he start's speaking. He can immerse you and drag you in to the story in a way no other narrator has ever done (for me anyway). I started speaking like a 19th century french after a few days listening. YESSSSS!! I cant fully explain why but I truly loved Noirtier. At the beginning of the story you have him in your head as one of the bad guys, but you learn to love him. What does Bill Homewood bring to the story that you wouldn’t experience if you had only read the book? See above! I think if I had read this rather than listened to Bill Homewood's narration I wouldnt have made it through the book. Truly brilliant! I think the "is there, isnt there" duel between the Count and Albert de Morcerf really gripped me and had me sitting in the car outside work so I could hear how it ended. If you have ever thought about it, but weren't sure, then all I can say is do it, do it now and dont look back. best of a bad lot. 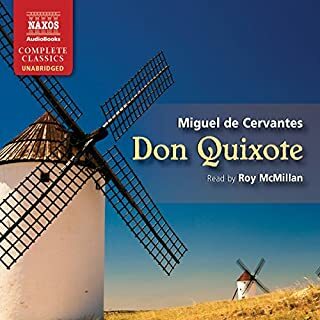 Great voice of Bill Homewood, despite Naxos doing their best to ruin things by not bothering to edit out the echo, or prevent it in the first place. I am richer for this book. a delight! after taking a short while to get used to the readers style I grew to quickly love this book and am so sad for having finished it...the sublime language, the drama, twists and turns so vividly described transported me as an observer to the plot unfolding. treat yourself to one of the greatest books ever written. wonderful! the film is such a pale imitation!